Like other Japanese makers of this era, many Takamine guitars from the '70s were based on American models. F-series guitars like the the F-340 were modeled after Martin guitars, down to the styling of the logo on the headstock. This particular model is based on the D-18 with Mahogany back and sides. 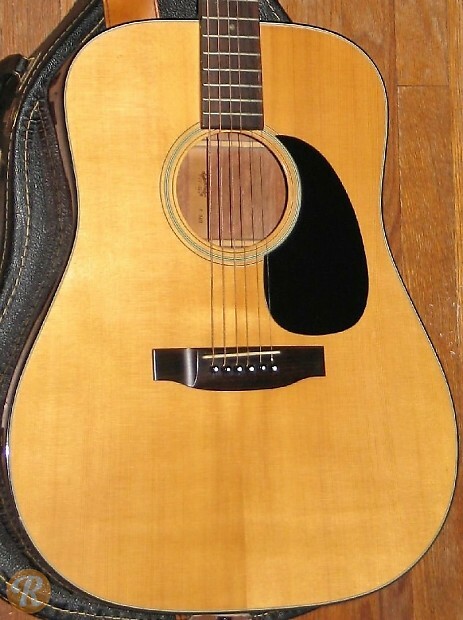 Those with an S in the title (F-340S) use a solid spruce top.